Stirling Broadcast offer an LS3/5a repair kit based on the Monacor drive units that are often touted as a drop-in replacement for the main drive unit of the LS3/5a - the B110. 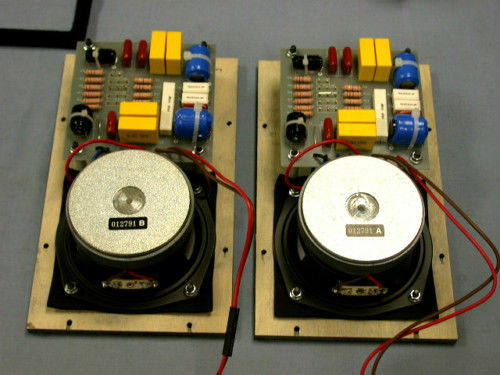 Slight physical modifications are made to the Monacor units and a replacement crossover board is provided to tailor the Monacors response to the desired LS3/5a response. 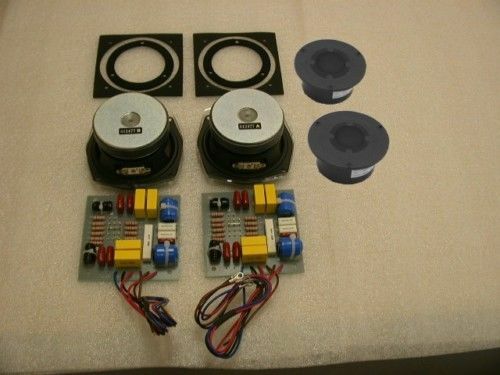 One version of this kit is provided with ScanSpeak tweeters with mesh grills, a suitable crossover, Birch ply baffles, neoprene sealing tape, self-adhesive felt squares and custom neoprene gaskets for all four drive units. Another version of the kit is as above but without tweeters, and is for the repair of LS3/5as where there has been a B110 failure. 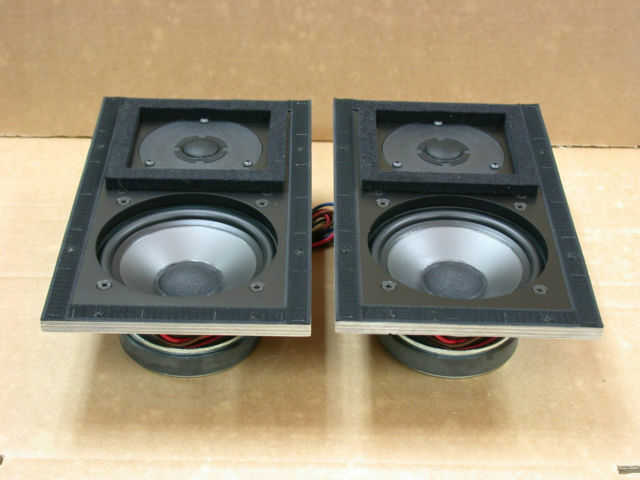 In this case the supplied crossover targets the T27 and has adjustable level settings to match your existing T27 tweeters. These kit and additional LS3/5a parts, such as front grilles, felt tweeter squares, terminals and sealing strips can be found in our Ebay shop. Both kits come with a 1 year warranty. 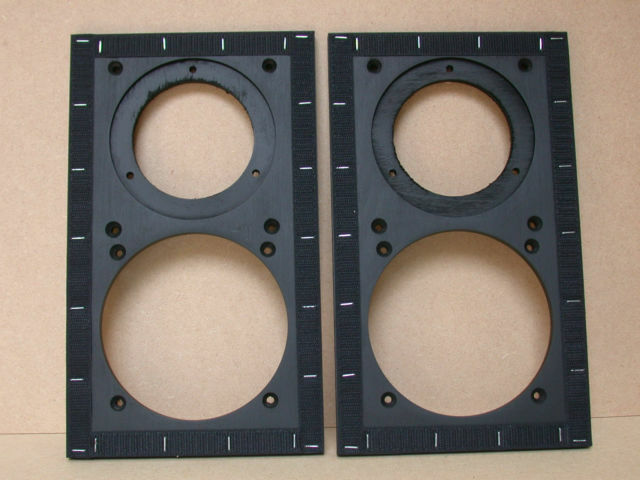 Factory repairs to all LS3/5a's Classic LS3/5a cabinets, baffles, grilles, connectors. Repairs using the above repair kits, assembled and tested on site and provided with a 2 year warranty. Contact us for details on in-house repairs and browse our Ebay shop for our range of spare and repair parts.